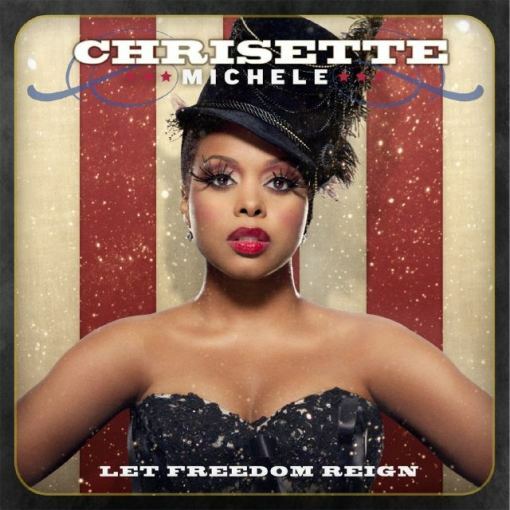 >CHRISETTE MICHELE’S NEW ALBUM COVER ROCKS! Fellow curvy girl and dynamic singer Chrisette Michele will be releasing her new album this month titled “Let Freedom Reign” on Nov. 30th. The natural haired beauty looks amazing on the cover of her new album. We love that Michelle likes to take risks with her looks and never looks the same. The lashes, the hat, and the bold lips work so well together. For CM fans, here’s how she describes the new album, “It’s not typical and there might be a song that you might not relate to, but at least you’ll know it’s mine.” With tracks featuring Rick Ross and Talib Kweli, we can’t wait to get our hands on this CD.